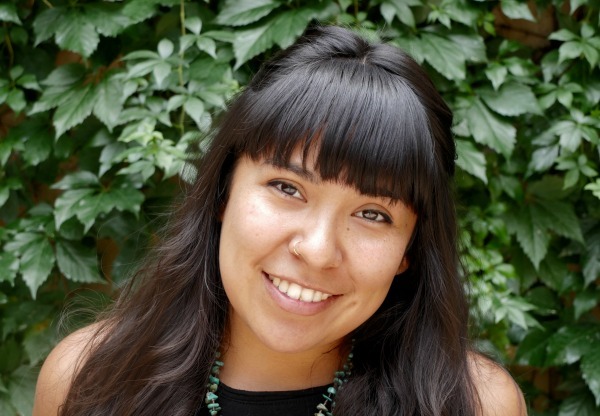 As a young Indigenous filmmaker and multimedia artist, Jade, walks between two worlds. A world that is deeply rooted in ancestry and culture and a world that is constantly evolving and shifting with new technology and strategy. Whether Jade is building a communications plan for an Indigenous community or producing videos and social media content for a large non-profit, Jade is not only passionate about but very dedicated to protecting and amplifying traditional knowledge and stories. In 2015 during COP21 in Paris, Jade, co-lead the Indigenous Environmental Network’s (IEN) media team. During the two weeks of COP21, IEN’s production of media became one of the most reliable sources of information and the team succeeded in having the Indigenous voice amplified by outlets such as The Guardian, Newsweek, Democracy Now!, Vice, Al Jazeera America and dozens more. Currently Jade is partnering with the climate movement and organization, 350.org, the Indigenous Environmental Network and Honor the Earth to produce media and build communications strategies for the movement in Standing Rock, ND.